Inhale and press your arm vertically by rotating your wrists at 90° to have your hands in pronation (thumbs outwards). 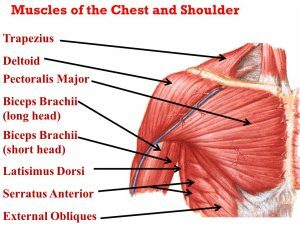 This exercise work deltoid muscles, mainly the anterior bundles and the clavicular bundle of the pectoralis major, triceps brachial, trapezius and anterior serratus. 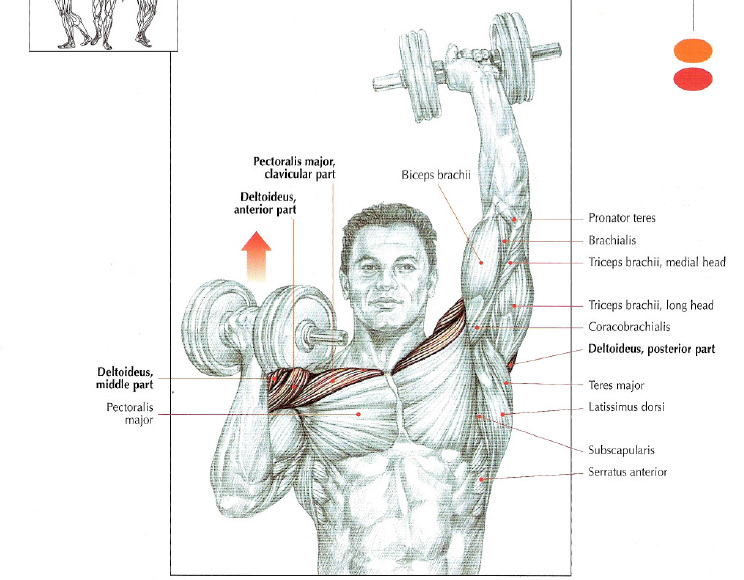 Train with elbows forward, we limit excessive friction at the elbows joint, which can trigger inflammations than can lead to severe pathologies. 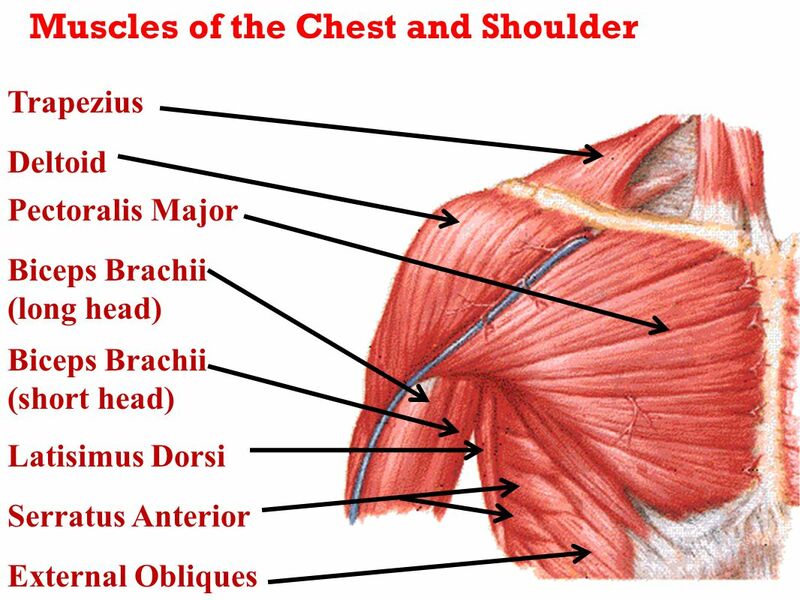 This movement is recommended to people with fragile shoulders. 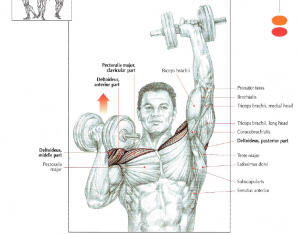 This is to replace traumatic exercises like back press or dumbbell press.